The M5+ is one of the strongest and most durable thermal transfer mechanisms in the industry. Available in both thermal transfer and direct thermal models. 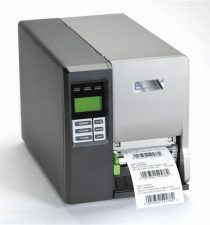 This printer is an ideal solution for a variety of applications, including healthcare, retail, inventory, process control, or shipping. 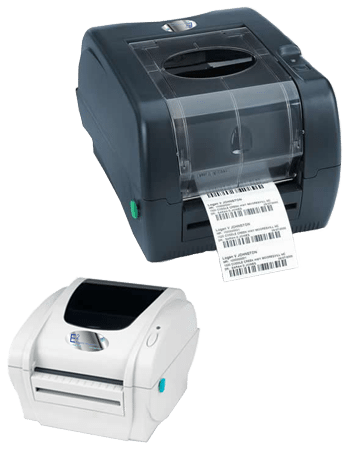 This Enhanced PAL enabled printer with its expansive list of features makes it one of the best values on the market. PAL language for Higgins E2 printers is a powerful printing and programming language. E2 printers work like any other printer when using a PAL Windows driver or other software written to take advantage of PAL. But what if the PC or Host application speaks another language? Many host applications have been written to support a specific type of printer and can’t be easily changed to support other printer type without costly upgrades or programming changes. Using PAL, a program is written which “translates” the current language into the new desired label format. This program is then stored in the printer where it continuously does its job.